James W. Saxton, Esq. is the CEO and Co-founder of Saxton & Stump. 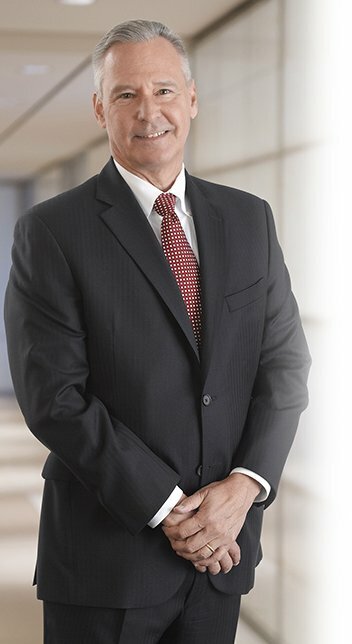 He has sustained an active litigation practice for over 30 years, representing hospitals and physicians before state and federal courts in professional liability and complex litigation matters. His practice includes healthcare litigation, internal investigations, medical staff matters, and strategic planning. Leveraging his extensive experience as a litigator, Jim advises physicians, hospitals, and post-acute care facilities with understanding and reducing their professional liability risk by promoting excellence in patient satisfaction and incorporating certain specific loss control and safety protocols. He has helped create innovative risk reduction tools, including specialty–specific diagnostic clinical effectiveness dashboards and patient experience and engagement tools, many which are now being used nationally. Jim has also created innovative safety programs for captive insurers, many national in scope. Jim is a nationally known speaker on healthcare issues, including litigation and trial best practices, mitigation, patient safety, as well as overviews of the changes in the healthcare landscape. He presents to many prominent healthcare organizations on both the state and national level including the American College of Surgeons, the American Society for Metabolic and Bariatric Surgery, the American Urological Association, and the Physicians Insurers Association of America. Additionally, he has published more than 200 articles, several handbooks, and seven textbooks in his field, including most recently, Operation Five-Star: Service excellence in the medical practice – Cultural Competency, Post-Adverse Events, and Patient Engagement. Prior to starting Saxton & Stump, Jim was a Shareholder with Stevens & Lee where he served as the Chairman of the Healthcare Litigation and Risk Management Group, Co-Chairman of the Health Group, and sat on the firm’s Finance Committee. Jim is an active member of many professional associations including being chosen as a Fellow of the Litigation Counsel of America, a prestigious nomination reserved for less than one-half of one percent of the lawyers in the country; Fellow of the College of Physicians of Philadelphia; and Board Member for SE Healthcare. 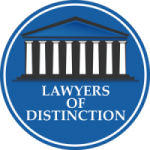 In 2017, he was certified as a member of Lawyers of Distinction, an honor limited to the top 10% of attorneys in the United States. As published in Philadelphia magazine, Jim has been recognized annually in the Commonwealth as a Pennsylvania Super Lawyer since 2012. Additionally, he has been recognized annually by his peers as a Best Lawyers in America for his high caliber of work in Litigation-Healthcare since 2016 and as a Select Lawyer in Medical Malpractice Law in 2015. In addition to his legal pursuits, Jim believes strongly in giving back to the community, volunteering in leadership roles, and lending his expertise to many healthcare and community non­profits. In 2014, Jim was the recipient of the Excellence in Philanthropy Award presented by the Lancaster General Health Foundation’s Board of Trustees. In 2013, he was awarded Philanthropist of the Year by The Central Pennsylvania Chapter of the Association of Fundraising Professionals. Additionally, Jim was the Founding Board Member of the Lancaster Community Health Plan; Chairman of the Lancaster YMCA Foundation; and prior to that, President of the YMCA Board of Directors. Jim is also a Past Board Member of the American Heart Association.